Laura joined the Hull IVF Unit in 2012 and is a qualified Embryologist. She is registered with the Health and Care Professions Council as a clinical scientist. Prior to joining the Hull team, Laura worked at a private practice fertility clinic in the South of England and she also has experience of working at a fertility clinic in Sydney Australia. Laura holds a Masters in Assisted Reproduction Technology from the University of Nottingham and a degree in Biomedical Sciences from the University of Newcastle. 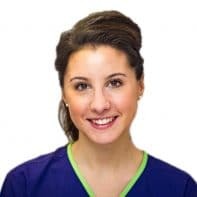 Whilst being skilled in all aspects of fertility treatment, Laura has a particular interest in embryo freezing techniques, an area which she researched during her Masters degree and which she continues to study. Laura is a member of the Executive Committee for the Association of Clinical Embryologists (ACE) and enjoys contributing towards developments in the clinical embryology field. Laura is responsible for the Andrology Laboratory and the Sperm Donor Programme.